BITTER HARVEST has been shown in over 100 countries worldwide. The Italian premiere of BITTER HARVEST (“Raccolto Amaro”) was held in conjunction with international Holodomor Remembrance Day activities. The screening was held at Cinema Farnese in Piazza Campo de Fiori, an iconic site in Rome. 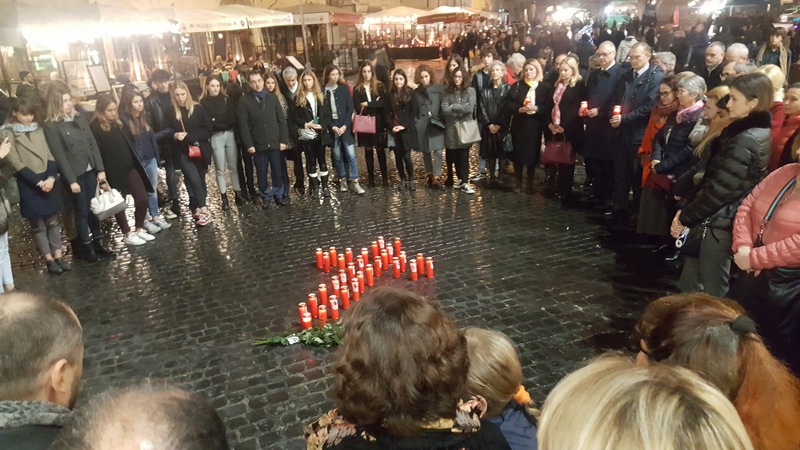 Before the screening, the Embassy of Ukraine in Rome hosted a vigil outside the cinema in honour of those lost in the Holodomor. The Ukrainian Ambassador to Italy and Pier Francesco Aiello of PFA Films introduced the film to a packed audience. Ian Ihnatowycz (Producer) was named a Chevalier of the Order of Merit (3rd Class) by Ukrainian President Petro Poroshenko for his outstanding contributions to Ukraine. The Political Film Society Awards have nominated BITTER HARVEST for an award as one of the best films of 2017 in raising political consciousness of viewers in all four of its categories: democracy, expose, human rights and peace, to be announced in 2018. The German premiere took place in Berlin at the cultural centre Kulturzentrum Brotfabrik. It was co-hosted by German distributor, Pandastorm Pictures, the Ukrainian Embassy in Germany and the German Association of Ukrainians. The event began with a champagne reception. Introductory remarks were given by Pandastorm’s Managing Director, Justus Peter, and the Ukrainian Ambassador to Germany, His Excellency Dr Andrij Melnyk. A lecture elaborating on the historical context of the Holodomor was then delivered by historian and Ukraine expert Wilfried Jilge of the German Council on Foreign Relations, followed by a panel discussion on the current political situation in Ukraine between Mr Jilge and Dr Kai Struve of Martin Luther University Halle-Wittenberg. The film played to a packed audience of Ukrainian political figures based in Germany, academics and passionate journalists. Guests included members of the Zentralverband der Ukrainer in Deutschland (Central Ukrainian Association in Germany); Eastern Europe Commissioner at Auswaertiges Amt, Andreas Peschke; Director of the Ukrainian Task Force at Auswaertiges Amt, Dr Andreas Prothmann; Assistant Director of the Ukrainian Task Force at Auswaertiges Amt, Dr Jurij Aston; Marieluise Beck, Speaker of Eastern European Politics for the Green Party and Member of Bundestag; Joachim Bartz, a journalist at ZDF’s Frontal 21; Julian Roepcke, a journalist at Germany´s largest tabloid, Bild; Regina Moench, a journalist at Frankfurter Allgemeine Zeitung; and Nataliya Chernopaschenko of the Ministry of Foreign Affairs of Ukraine. Bitter Harvest was well received by the audience, who appreciated its educational potential and importance to contemporary politics. Journalists Regina Moench and Joachim Bartz commented that they were ‘totally stunned at how little is known about the Holodomor in Germany’. Investigative journalist Julian Roepcke posted on Twitter to his 44,000 followers that the film is ‘a must-watch for everybody who wants to understand Ukraine’. An additional screening was held in Brussels at the Embassy of Ukraine in Belgium. The screening was hosted by Second Secretary Natalia Holiian and Third Secretary Maksym Kuvyklin, and played to audience of over 50 guests, which included Embassy staff and additional members of the Ukrainian-Belgian community. The screening was followed by an engaging Q&A between producer Ian Ihnatowycz and the audience, in addition to a reception, at which many audience members commented on the powerful impact the film had on them. Whilst in Brussels, producer Ian Ihnatowycz also met with NGO heads and officials from the European Commission to discuss the impact the film has had, and continues to have, upon the Ukrainian community worldwide and the filmmakers’ mission to educate the world about the Holodomor. Member of the European Parliament (MEP) for Germany Rebecca Harms hosted this special screening for her European Parliament colleagues, other diplomatic figures and members of the Belgian-Ukrainian community. Attendees included the Ukrainian Ambassador to Belgium, Mykola Tochytskyi; First Secretary of the Mission of Ukraine to the EU, Serhiy Tereshko; Director of the Ukrainian World Congress Mission in Brussels, Maryna Iaroshevych; MEP for Estonia Tunne Kelam; and MEP for Ireland Deirdre Clune. Representatives from the European Commission, NATO and the Mission of Canada to the EU were also present. Ms Harms, producer Ian Ihnatowycz and Ambassador Tochytskyi all gave short speeches prior to the screening. The film was followed by a reception, where several members of the audience commented on how moved they had been by the film. A second Canadian premiere took place in Toronto at the renowned TIFF Bell Lightbox arts centre. Producer Ian Ihnatowycz and Ukraine’s Ambassador to Canada, Andriy Shevchenko, both spoke before the screening, and acknowledged two Holodomor survivors who were in attendance. In addition to the filmmakers, several important Canadian dignitaries were present, including Foreign Affairs Minister Chrystia Freeland and President of the Ukrainian Canadian Congress Paul Grod. Other distinguished guests included Toronto mayor John Tory; Minister of Culture in Ukraine, Mr Yevhen Nyschuk; Holodomor survivors Mykola Latyshka and Stepan Horlatsch; and Ukrainian rock star Sviatoslav Vakarchuk, of the band Okean Elzy. The Canadian premiere of BITTER HARVEST took place at the Canadian War Museum in Ottawa. The screening was well attended and was followed by a cocktail reception. Producer Ian Ihnatowycz and director George Mendeluk presented the film alongside other distinguished guests, including Yevhen Nyshchuk, Minister of Culture of Ukraine; Ambassador of Ukraine to Canada Andriy Shevchenko; Member of Parliament Borys Wrzesnewskyj; Eugene Czolij, President of the Ukrainian World Congress; and Paul Grod, National President of the Ukrainian Canadian Congress. 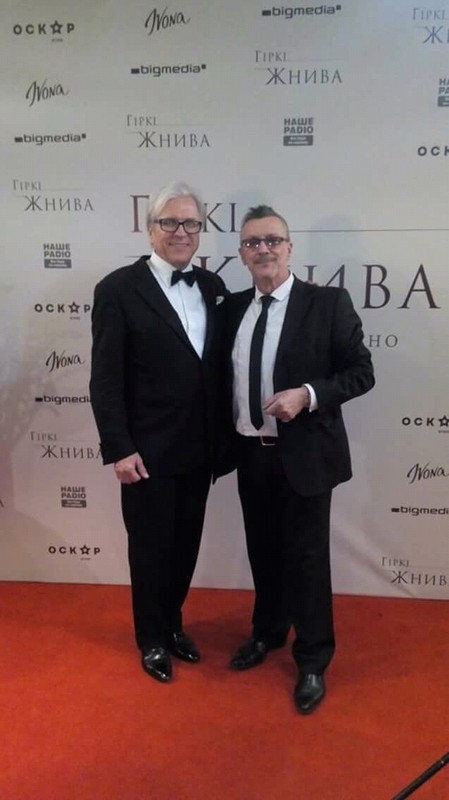 BITTER HARVEST'S Ukrainian premiere took place at the Oscar Cinema in Kiev. Producer Ian Ihnatowycz, director George Mendeluk, executive producer Dennis Davidson, writer Richard Bachynsky Hoover, actors Oleksandr Pecherytsia (Volodyo), Ostap Stupka (Boiko) and Samantha Barks (Natalka), First Vice Prime Minister of Ukraine Stepan Kubiv, Minister of Culture of Ukraine Yevhen Nyshchuk, and Honourable Ambassador of Canada to Ukraine Roman Waschuk were all in attendance. In addition, First Lady of Ukraine Maryna Poroshenko attended and delivered passionate opening remarks about the importance of Bitter Harvest. The film received an extended standing ovation as the credits ran. The Atlantic Council, one of Washington, D.C.’s most prominent and respected think tanks, hosted the panel discussion, ‘Connecting Ukraine’s Past and Present: From Holodomor to the War in Donbas’, and reception. The event coincided with the release of BITTER HARVEST and the trailer played for the audience before the panel began. The film served as a focal point throughout the discussion. Tim Fairbank, Senior Fellow at the Atlantic Council’s Eurasia Center, moderated the panel. Participants included Ambassador John Herbst, Director of the Council’s Eurasia Center; Nadia McConnell, President of the U.S.-Ukraine Foundation; Naphtali Rivkin, Research Fellow for the Victims of Communism Memorial Foundation; and Michael Sawkiw, Director of the Ukrainian National Information Service and the Ukrainian Congress Committee of America. The audience included representatives from the U.S. and foreign governments, media, academia, think tanks and NGOs. During the panel, Ambassador John Herbst made the following statement: ‘This film, BITTER HARVEST, could wind up being a very important cultural event. That is certainly my hope: that this leads to a serious conversation about the things that happened in the Soviet Union’. The gala premiere of BITTER HARVEST took place at the Ham Yard Hotel in London’s trendy Soho neighbourhood. The venue was at capacity and the film received a huge round of applause as the credits ran. Producer Ian Ihnatowycz, actors Max Irons (Yuri) and Samantha Barks (Natalka), co-producer and actor Tamer Hassan (Sergei), director George Mendeluk, cinematographer Douglas Milsome, executive producer Dennis Davidson, and co-producers Chad Barager and Camilla Storey were all in attendance to present the film. Producer Ian Ihnatowycz, actor and co-producer Tamer Hassan (Sergei), director George Mendeluk, producer Chad Barager and co-producer Camilla Storey ventured to Cambridge to speak at the prestigious Cambridge Union. Following lunch with engaged student representatives from the Union and a walking tour of some of the University’s oldest colleges, the film was screened for students and academics. The film was well received, and Ian, George and Tamer participated in a Q&A with moderator Anna Bockmuehl. The discussion continued at the famous Cambridge Chop House, where the filmmakers attended a dinner with several more students, who were impressed by the film and praised its correction of the historical record. The Cambridge Union Society is the world's oldest free speech society, the largest student organisation in Cambridge, and celebrated its 200th Anniversary last year. They have welcomed a wide range of speakers in the past, including Ronald Reagan, Robert Downey Jr, Dame Judi Dench and Oliver Stone. The U.S. premiere took place on Thursday, 16th February, 2017, and was a resounding success. 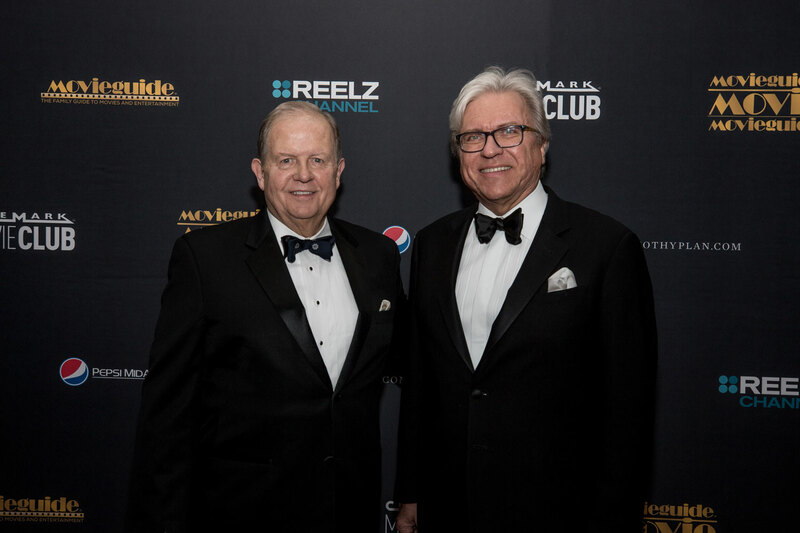 Stars flocked to the red carpet at AMC Lincoln Square in Midtown Manhattan. The film played to a full house and received a standing ovation. Guests then adjourned to the reception, held at The Leopard restaurant at Hotel des Artistes, organised by legendary party planner Peggy Siegal.